Last year, ForexTime received full CySEC regulation. Andrey Dashin, shareholder of Alpari is the founder of the company. He is considerably experienced in running extensive forex operations in various regulatory jurisdictions. ForexTime is governed by MiFID and licensed by CySEC. CySEC provides a lot of regulation along with the minimum limits that are laid out in the MiFID directives of the EU. This means that FXTM clients should feel safe with the idea that they have a basic benchmark of regulation. 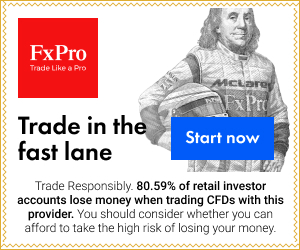 ForexTime provides high quality CFD and forex trading services and they must be considered seriously by traders who are interested in a brokerage that is regulated by the MiFID. ForexTime provides trading and investment services in forex, precious metals, CFDs on commodity futures, share CFDs and ETF CFDs. Mr. Andrey Dashin established the company. He is also the pioneer of the brand Alpari. With over 15 years of experience in the field of international finance, the new venture consolidates Dashin’s reputation as a business entrepreneur in the global finance segment. It arises out of his ambition to become instrumental for setting high standards in the sector of forex trading within the constantly changing international market scenario. According to the founder, he has had the ambition to be changer of the forex game and ForexTime has made that happen. FXTM is set to change the forex industry since he along with his team has the commitment and experience that is required to take the industry to the next level. The late global shortfall has opened up unique propositions in the forex industry and with FXTM, there will be an adaptation made to an emerging market by the new expectations and demands of the fulfilling traders and investors. ForexTime Ltd is licensed by the CySEC (Cyprus Securities and Exchange Commission) as a CIF or Cyprus Investment Firm. Its license number is 185/12. Why to choose forex broker ForexTime video ? Minimum Deposit: There is no minimum deposit for any account. ForexTime supports different kinds of trading platforms, with the MetaTrader 4 platform being available too. You will also find the MetaTrader 5. Both these platforms are traders’ favorites all over the world. There are also a wide variety of tablet and mobile platforms that offer the MetaTrader 4 & MetaTrader 5 versions for traders with Apple or Android devices. With Apple and Android controlling a majority of the market for smartphones, most traders should be successful trading on the go. The only drawback of FXTM is that there is no Web based platform. This means traders cannot use their computers for trading unless they have the MetaTrader installed. You have various instruments that you can trade with. Although there is a dominant forex bias, other instruments are also available. You have a wide selection of commodities to trade with. These include gold, silver and many other commodities CFDs. Interestingly though, ForexTime provides various kinds of shares and ETFs to trade Contracts for Difference. The ETFs presently provide some of the most unique trading choices. There are several spreads that are available at ForexTime. At times, you might not be able to create a demo or real account as a result of some technical glitches with their open account form. Although FXTM provides standard as well as ECN accounts, there will be a lot of competitive floating and fixed spreads out here. Being relatively new in the field, it is tough to comment on the customer services of the company. Established by a popular figure in the trading industry, it is highly transparent when it concerns getting in touch with them. At present, the service staff is accessible Monday to Friday between 8 am and 8 pm through live chat. With the growth in their customer base, it is hoped that their chat support and duration will increase. There are also several contact numbers provided for getting in touch with the company’s various wings. It seems that FXTM will provide sound customer service since the founder has thorough experience in providing forex solutions over the counter. The PAMM stands for Portfolio Asset Management Mechanism Program by FXTM or Forex Time. It is an important portfolio management service that is developed by the company. It enables skilled traders to come up with trading strategies to the PMD of the Portfolio Management Department of the FXTM, and acquire compensation for the successful techniques. FXTM works by leveraging knowledge of the industry and delivers developed technological capabilities with their PAMM program. It makes the most of forex trading as a separate class of assets within the overall portfolio of the client. The PMD is offering an invitation to skillful traders with unique trading approaches in the market for affiliating with the PAMM program from Forex Time (FXTM). A talented trader can prove their forex trading skills now if they become FXTM Strategy Providers. Forex Time PMD reviews the traders’ trading history to decide if they meet the required criteria. Once it is agreed with the traders, the PMD is capable of using the traders’ strategies on the PAMM program.. The PMD identifies these strategies which can be suitably used for the portfolio and rate them in tune with the different risk categories that are available in each portfolio. It is a major development in the forex world. The first in the league, you can showcase your capabilities and be a part of forex history. If you have a good strategy, you can be assured that the PMD will choose more funds to assign to your trading strategy. The PMD wants to put their funds under management for working towards expanding their existing customer base. Gain rewards for your success. Strategies that are successful are rewarded. If you have a better performance, as in higher ratings and metrics, there are higher chances that the FXTM PMD can use your methods for providing higher strategy fees. Reduced registration fees for entering the program, beginning at a minimum $/€100. The method also involves a lot of security. Traders may submit various kinds of strategies and be assured that being a regulated forex broker, there will be complete confidentiality of their strategies. Create an MT4 ECN Account and make a deposit of $/€100, which is the minimum deposit, and begin with your trading experience. Your performance will be tracked if you are a client already. After trading actively for about a month, you may apply to the PMD at FXTM for being approved as a FXTM Strategy Provider.